When it comes to the onset of Easter it is really great fun for kids and young children. It is a real season when children love working with their mom at kitchen. They really like to make the world famous Easter eggs. They showcase their talents in making yummy eggs out of chocolates and yet other ingredients. 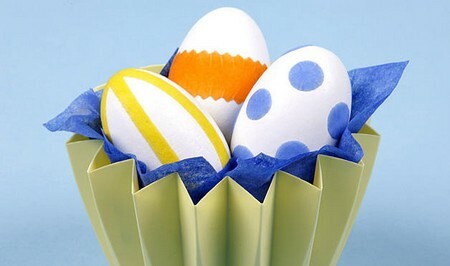 These eggs are just hard eggs which are boiled and painted with great colors to be presented in an attractive way. The designs can be made of any sort there is no need for any pattern to be followed. The only thing is a good finish of the egg. Children are by nature very fond of painting, drawing and coloring therefore its natural that they show more interest in these activities. While choosing the colors for these eggs it is essential that they have non-toxic nature. Children don’t have so much knowledge about the hap-hazards of these chemical dyes, so it’s better to provide then with a good dye which has no chemicals. Nowadays to help parents there are a lot of organic dyes available. These dyes have non-toxic compounds in their composition; this can help in better safety measures as kids use them. With the growing trend is adopting eco-friendly products for all purposes, using these organic dyes will also be in such a way. They are also produced with low cost materials. Since they are organic they can be entrusted to be handled by kids unlike the inorganic chemicals which may be slow poisons. Organic dyes are made out of natural products which are derived out of available products from nature. For example: the color green can be obtained from the leaved of plants, red from flowers etc. All these things have no harm in them and therefore they can be left carefree with children. Why we handle this issue very carefully is that children keep working upon something and even without caring about their dirty hands they put their fingers into their mouth which may result in medical problems like stomach upset, nausea etc. Therefore parents don’t hesitate to spend much to take care of their child’s health as well as they don’t compromise with their little pleasures. You can make your own dyes with zero percent chemicals. They can be made out of your own products at kitchen. The brown color can be obtained from coffee, red from fruits like pomegranate, green from leaves, yellow from turmeric etc. Therefore you can add on colors to your Easter eggs by making them yourself and make the Easter very special.